A couple of months ago, Hautelook was hosting a fab sale on a few theBalm products. I have had my eyes on Mary-Lou Manizer and Betty-Lou Manizer for quite some time, so when I saw that these were going for just $12/each (original price is $24 each) on Hautelook, I immediately added them to my shopping cart. Both Mary-Lou Manizer and Betty-Lou Manizer are nice multi-use products. 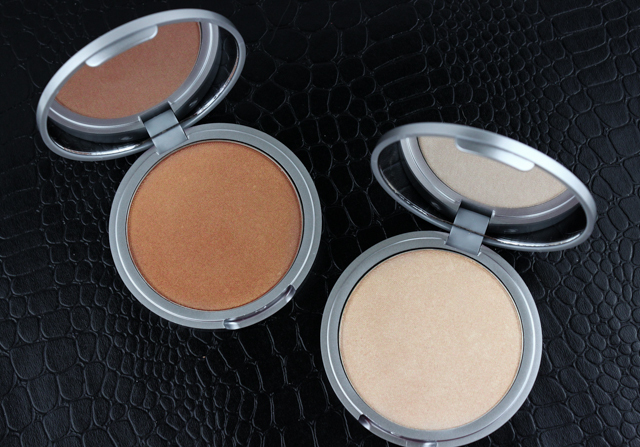 They can be used on the lids for a glistening effect on the eyes, or on the face for a luminous glow. These are talc free, paraben free, and cruelty free. 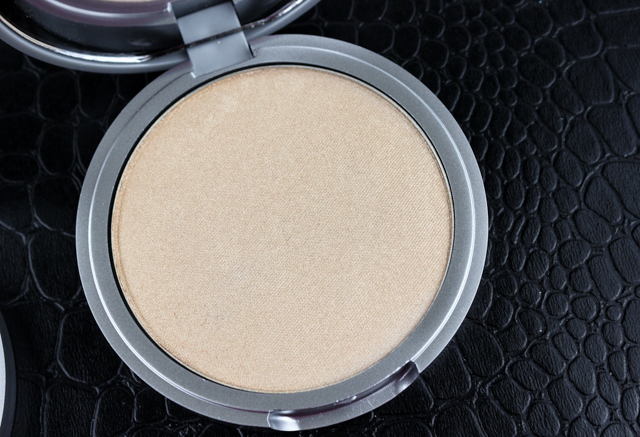 Mary-Lou Manizer: This has quickly become one of my new favorite highlighters. I can't get enough of the finely shimmered light beige-gold hue and smooth texture. A light dab of Mary-Lou Manizer on the tops of my cheeks, bridge of nose, and cupid's bow, gives my complexion a beautiful ethereal glow that lasts all day long. During application, be mindful of how much of this you use because if too much is applied, pores and imperfections may become enhanced. Betty-Lou Manizer: I was drawn to Betty-Lou Manizer's warm, golden tone, which is surely going to compliment a summer tan beautifully. Since Betty-Lou Manizer is much more pigmented than Mary-Lou Manizer, I prefer to use it all over to bronze up my face some. 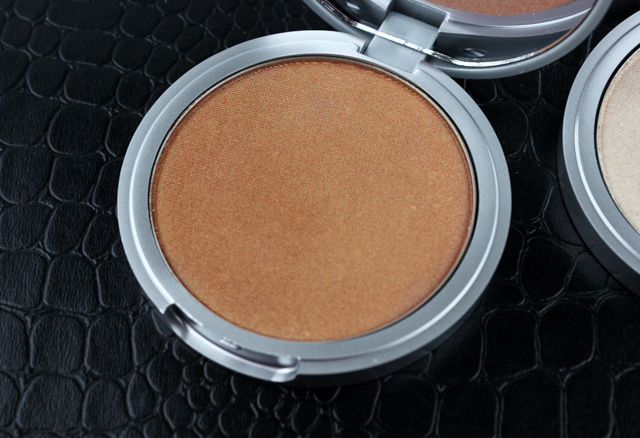 I usually prefer bronzers with matte finishes, but I quite like the results I get with Betty-Lou Manizer. It not only adds warmth to my skin, but a gorgeous luminosity as well. Over the years, I have built a genuine love for highlighters. They are a nice addition to a routine, and when done right, the lit-from-within effect these impart on the skin make the extra step well worth it. If you appreciate a good highlighter, Mary-Lou Manizer and Betty-Lou Manizer are great ones to look into. They are multi-purpose, they don't skimp on quality, and the colors are universally flattering. Gotta love it! What do you all think of these highlighters from theBalm? Which are your favorite highlighters? Disclaimer: The products mentioned in this post were purchased by me. This post contains referral links. For more information, please visit my disclosure page. I just started to slowly but surely get into contour and highlighting. I've been stalking haute look for 3 weeks since I found out about these two. Love it and can't wait to score them on sale! I hope Hautelook puts up another theBalm salen soon! I want to get my hands on Cindy-Lou Manizer, next! I have the highlighter too and I've been using it for 4 years now, but mostly as an underbrow highlight and not so much on the cheeks. 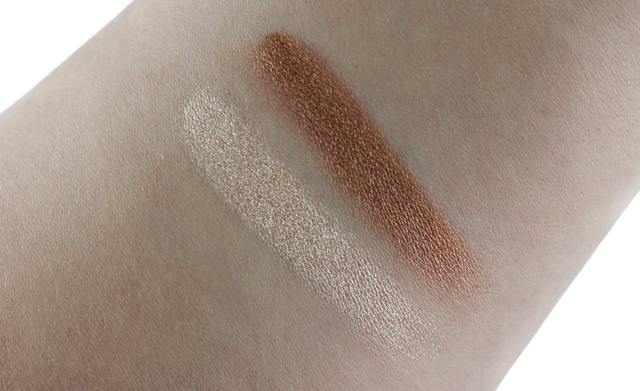 I love how freaking silky buttery smooth they are and I'd really love the bronzing shade but more for an eyeshadow than for on the face so I skipped it! The texture of these are amazing!